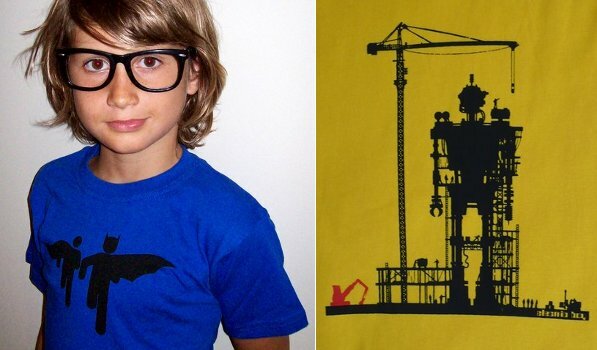 Let me share a discovery I made at the recent Mathilda’s Market in Brisbane – original screenprinted tees for boys. I was delighted to find them as I know how difficult it is for parents of boys to find clothing that is fashion-forward, distinctive and individual with the all important cool edge. Time and again I’ve heard from many girlfriends with little guys that the clothing available to them either lacks originality or lacks a modern and hip touch. Electric Boy has both in spades. The tees’ fit and quality are superb and the designs are understated conversation starters. 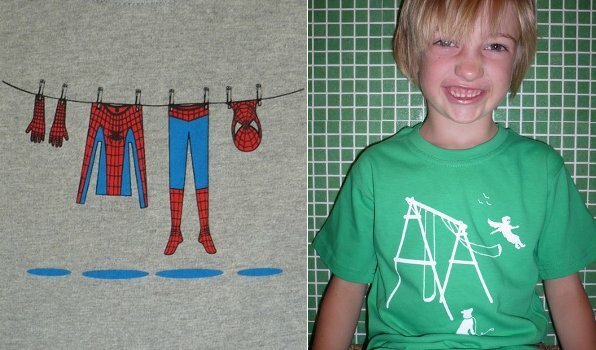 I mean, you can’t get much more original than the ‘Spidey’ design – I think it’s ingenious. I also love the ‘Evil Robot’ tee in yellow pictured below. To check out the full range of tees, head to their Etsy shop with prices at US$27 plus postage.